Wishes are an integral part of celebrations. You wish your loved ones with special gifts and gestures on their special day. This exclusive bouquet of 4 Red, 4 Yellow and 4 White Roses are perfect to wish your loved ones with good luck, happiness and prosperity. I have gifted this to my friend to bring her piece of mind, friendship and love. 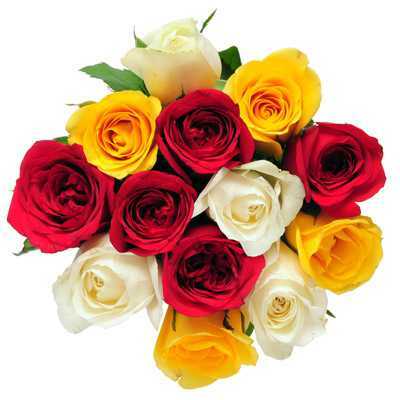 It has a perfect arrangement of Red, Yellow and White flowers.